With BigBirdWeb’s Fully Managed Shared Cloud Hosting plans you can get your Website always up and running on the cloud in no time flat. Backed by cPanel and powered by SSD ultrafast server we offer an experience second to none. Enjoy India’s #1 Web Hosting with our feature-packed web hosting plans, giving you huge website storage, personal emails, one-click app installations and the world-leading cPanel hosting control panel. Choose from our low cost cloud web hosting to get started. Why Choose Cheap Linux Shared Hosting? We provide an easy to use management interface for your account backed by the industry leading control panel, cPanel. 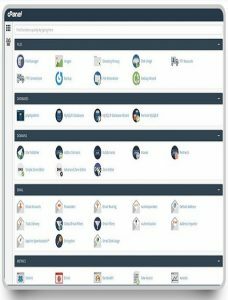 This management interface gives you full control to add or remove email accounts and domain names, as well as manage your files and MySQL databases and much more.Optimize your website performance with varnish cache enabled linux shared hosting plans.Install web applications such as WordPress, Magento, Drupal, etc. with a single click. We can understand Control Panel matters in Website! Or Use our Website builder tools! We ensure that your script runs seamlessly with our shared hosting service. Regardless of whether you need to run the most recent version of PHP or manage compatibility. 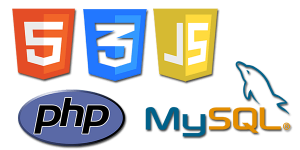 We make sure you get access to the latest, most recent & the most compatible versions of PHP & MYSQL. Our linux shared hosting plan is inbuilt with the Softaculous auto-installer that comes with a one click install solution of over 300 applications ≈ scripts such as WordPress, Drupal, Magento, Joomla & many other well-known scripts. Included in All Packages for your website, Setup your web hosting with BigBirdWeb. Your online website comes with inbuilt SEO setup plugin, set it up from your web hosting cPanel and Its ready to work no matter is it CMS or others,It always Rocks. All of Web hosting account comes with unlimited numbers of email account with POP3,Autoresponders, Mail Forwards, Email Aliases, Mailing Lists. No matters Its CMS or any other,We’ll migrate whole website including MySQL DB, Email accounts,Domains to us with 0% of downtime.There will be no charges. Instantly install over 75 open-source scripts with just a click like WordPress, Joomla, E-commerce, Forums etc on your ssd web hosting.There will be also Free Backups and Auto Updates features. HostFurious web hosting server comes with Free Unlimited MySQL Databases with phpMyAdmin AccessmCGI, Fast CGI, PHP 5, Ruby on Rails, Perl, Python, SSL with SSH Access and Cron Job Scheduling. HostFurious’s Web Hosting comes with secure & fast FFMPEG enabled hosting which offer you to create a video based website.Its also support Curl, CPAN, GD Library, ImageMagick etc. With Shared Hosting, a single server hosts multiple websites, which means you share the server resources with other websites. Shared hosting is Web hosting in which the service provider serves pages for multiple Web sites. Linux vs Windows Shared Hosting? There are multiple parameters which can guide your decision. But, the rule of thumb is that if you wish to host a website on ASP, ASP.NET, IIS or MSSQL, then you should choose Windows Shared Hosting. For sites in HTML/CSS, PHP or regular WordPress websites. Yes, Email hosting is a part of your Shared Hosting package, and you can create multiple email accounts as specified in your package. The upper limit for email storage is 10 GB per package. If you require more email resources, please check out our Business Email and G Suite plans. Softaculous is a one-click application installer, which can be used to deploy more than 400 applications with the use of predefined scripts. Step 1: Log into ‘Softaculous Apps Installer’ through your cPanel. Step 2: Choose an application which you would like to install on your website and hit install. Cloud Hosting vs Web Hosting? Cloud Hosting harnesses the power of the cloud to provide a scalable environment to handle traffic spikes and durability to withstand server failures. In Shared Hosting, users share server resources, whereas, Cloud Hosting provides Dedicated RAM and CPU to your highly resource intensive website. How Can I build a website? You can build your website in numerous ways, ranging from Softaculous one-click installations to uploading custom code written in HTML/CSS, PHP, Python, Ruby, etc. CloudFlare is an industry-leading Content Delivery Network (CDN) provider. It accelerates and secures your site by acting as a proxy between your site visitors and HostGator servers. With the help of CloudFlare, you can protect your site against malicious visitors and improve the average page load times. It also provides a host of security features like DDoS mitigation and Web Application Firewall (WAF).